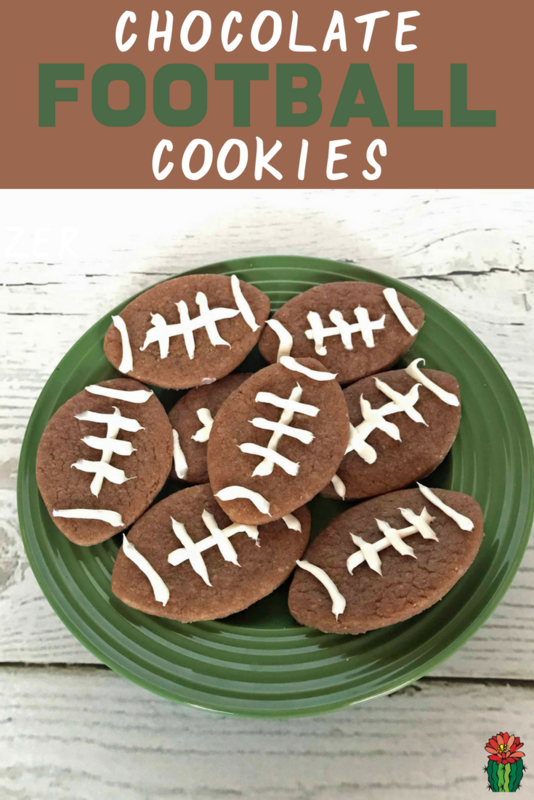 Easy and fun are my two favorite types of projects, these easy chocolate football cookies are both of those things! 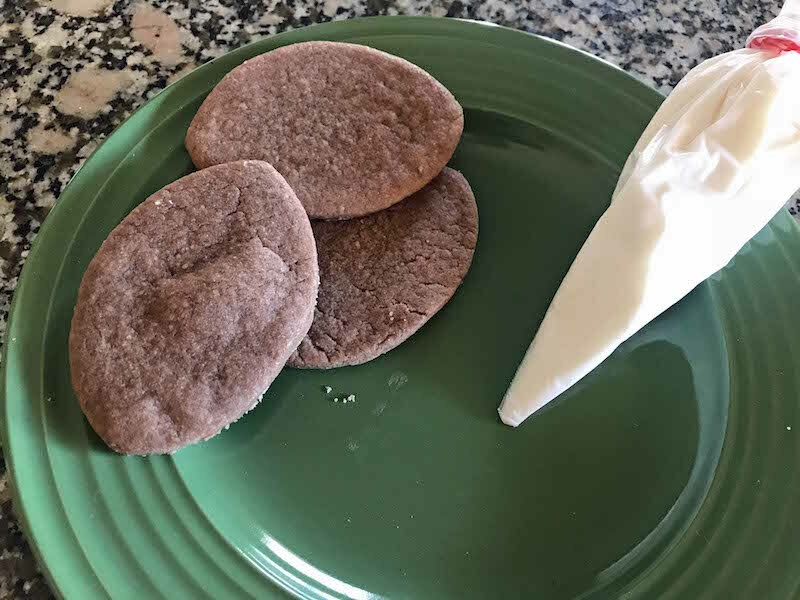 The best part of about these easy chocolate football cookies is you can make it from a cookie mix. 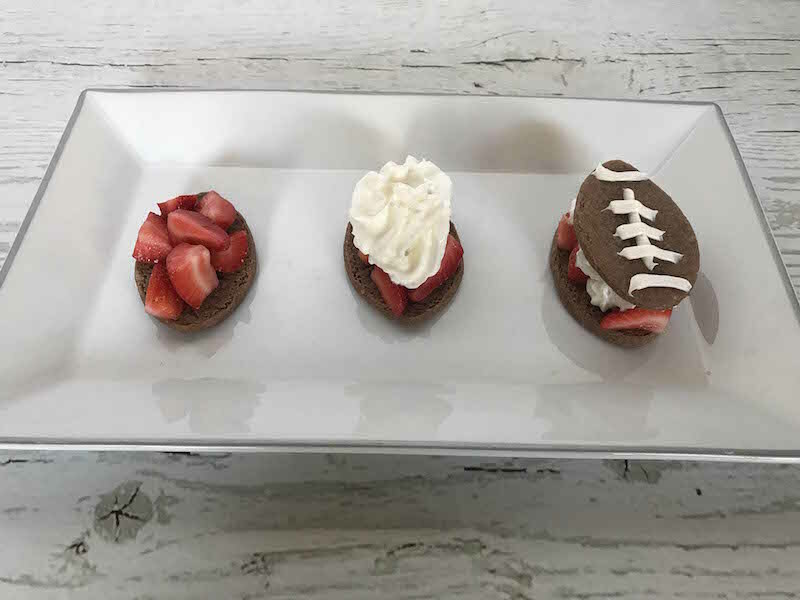 This chocolate football cookie idea is for people that are short on time or want something simple. 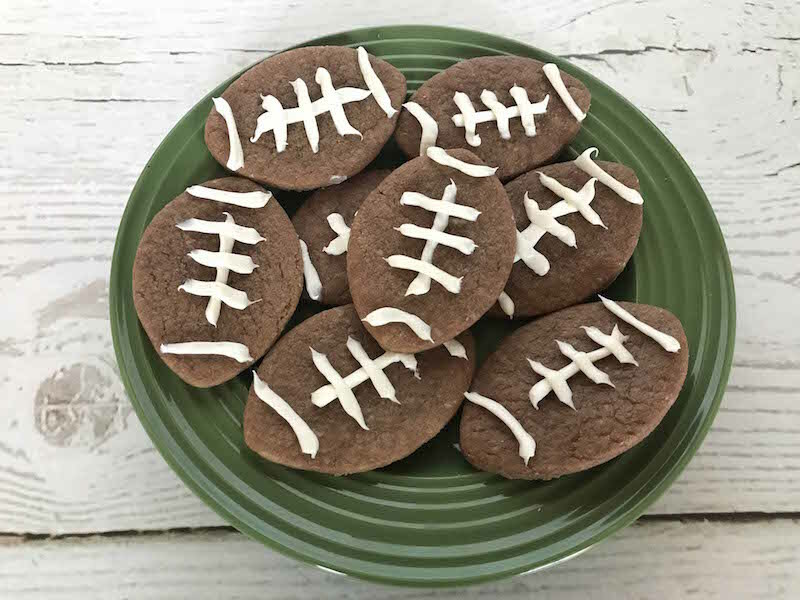 Start with a package of sugar cookie mix and add 2 tablespoons of unsweetened baking cocoa to make it chocolatey and the perfect shade of brown for a football. 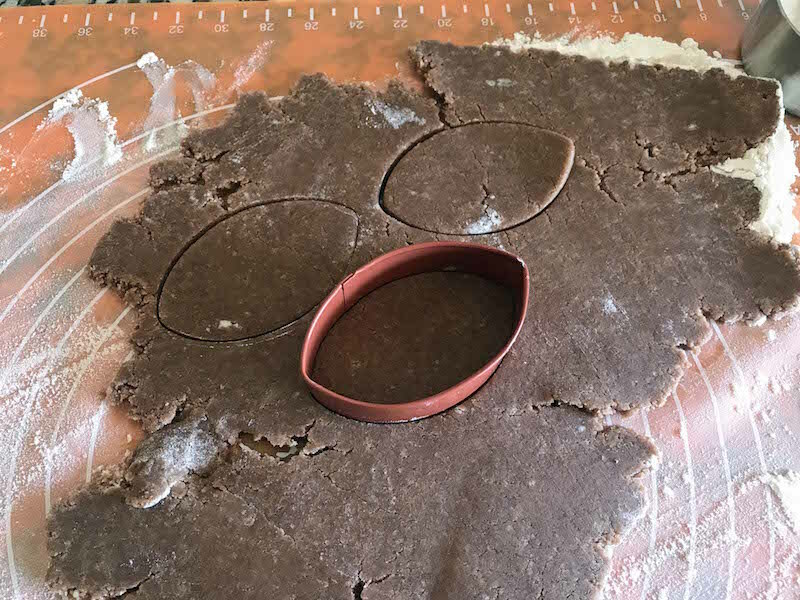 Be sure to chill the dough for a few hours before rolling the dough to make football cutout cookies. 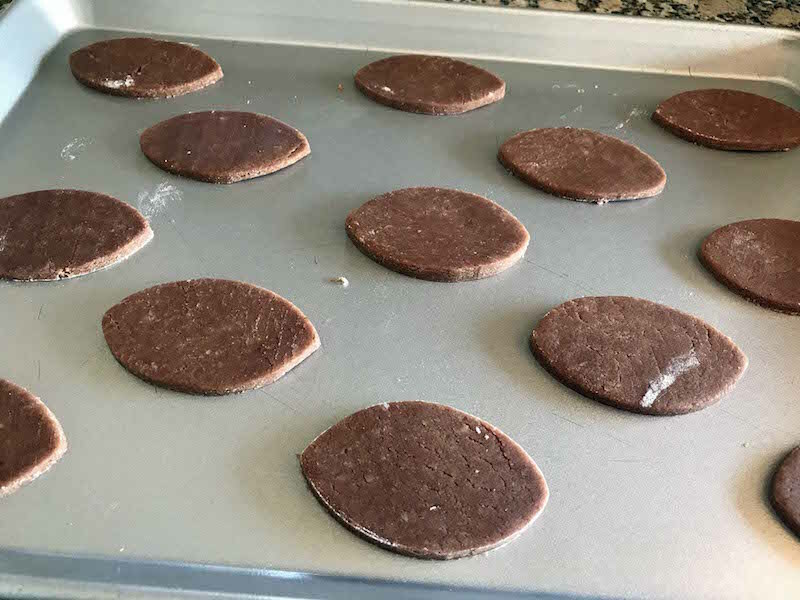 Bake your chocolate football cookies according to the cookie mix directions. Once cooled, use white frosting to pipe on the white laces. You can make your own frosting or keep this whole project simple and use a can of vanilla frosting. I like to pipe my frosting using these bags. A ziplock bag with the end of cut also works. 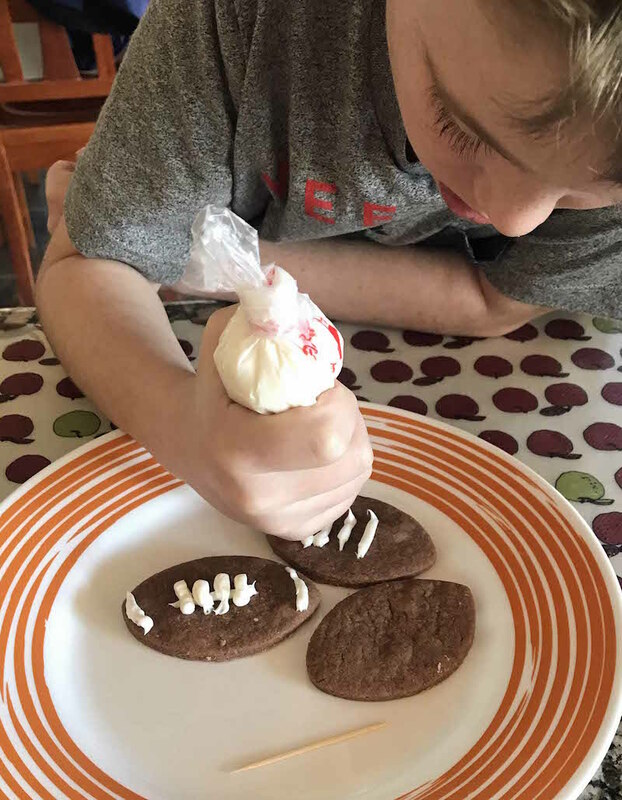 Prep the materials ahead of time and you can turn it into a fun football activity kids at your super bowl party. Or make up a big batch to put out with the rest of the football party food. If you want to make a little more elaborate cookie recipe. Try adding strawberries and whipped cream for a fun chocolate strawberry shortcake cookie idea. 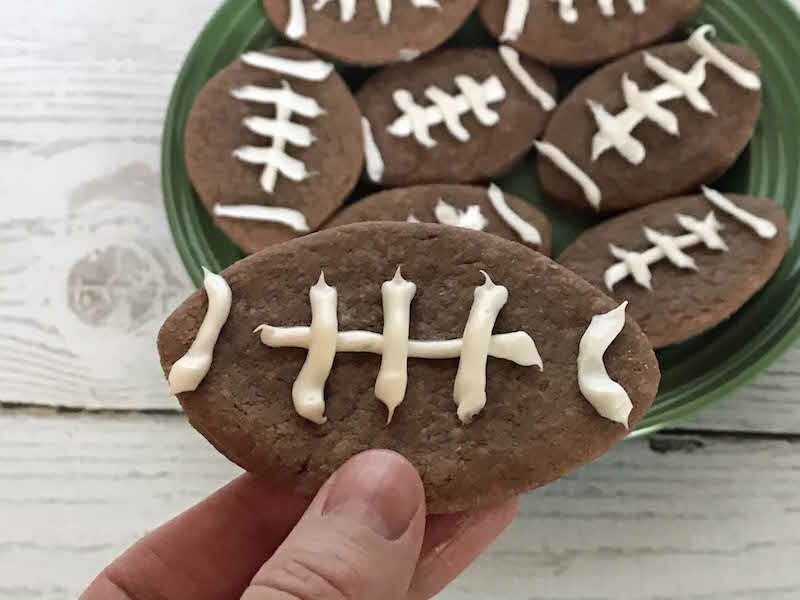 It’s an easy way to upgrade the simple chocolate football cookie idea.